Irenaeus of Lyons was an influential Church Father of the second century. He was one of the first to emphasize the episcopacy and the canonicity of the four Gospels, playing a large role in the formation of a New Testament canon. Irenaeus was a disciple of Polycarp, who in turn was a disciple of the Apostle John. 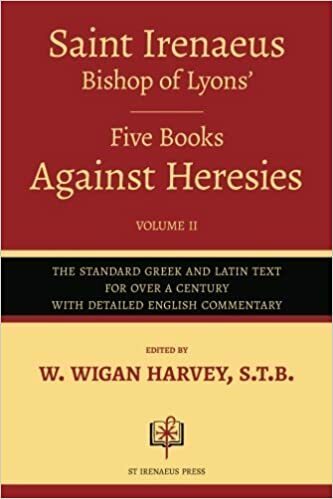 The Writings of Irenaeus is an extensive collection, including his most famous work, Against Heresies—directed against the Gnostic heretics.